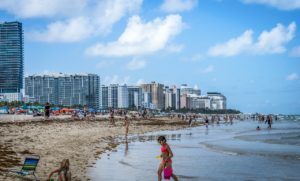 Why should you move to Miami? Miami is surely an excellent city to live in. However, relocating is not a decision that should be taken easily. Before you hire a professional company to move your belongings. 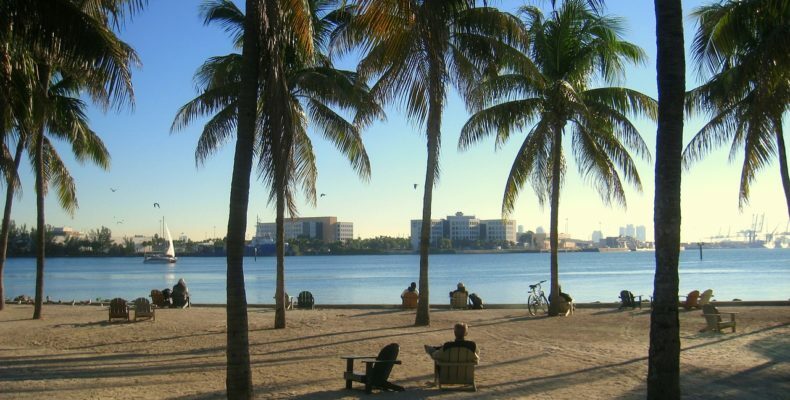 You may need a few more reasons why should you move to Miami. The following list will help you to realize why you should definitely relocate to this beautiful city. Miami has a great climate during the year. You can’t say that this is not a good reason why should you move to Miami. The average low is 60 F, and the average high is around 80 F. The favorite retirement state in the US is favorite for a reason. After decades of hard work in sometimes rough climate, people really enjoy moving to the gentler temperatures of Florida. Good weather can be one of the reasons why should you move to Miami. When you think about Florida, one of the first things that may come to mind is the gorgeous beaches in the area. And who doesn’t enjoy spending a day at the beach? Miami has some of the best beaches in the world. They have something the whole family will love. Bal Harbour Beach – located north of Miami Beach’s main stretch. A number of people are attracted to Bal Harbour. Because unlike most Miami beaches, Bal Harbour is a quiet and serene area. So, when you want to enjoy the beach without a huge crowd, then this is the perfect place. Crandon Beach – If entertainment is your goal, you’ll fall in love with Crandon Beach. From amusement centers, on-site grills, cabana rental and more, there’s always something fun to get into. This beach is also ideal for a day of family fun. There are a number of onsite grills, volleyball nets, and other available activities. After your move to Miami, both you and your family will be able to enjoy everything Crandon Beach has to offer. Life in Miami can never be boring. Finding entertainment that you enjoy will help you get adjusted to the area. Miami has a number of entertainment options available for people of all ages from the arts, shopping, dining, and so much more. You’ll find it hard to decide where to go first. Isn’t this a great reason why should you move to Miami. Once you dive into everything that he has to offer, you will feel at home very quickly. South Beach – more than just a beach. It is an energetic community that has a ton of unique experiences to offer. There are a number of boutiques, art galleries, and five-star restaurants located in the area. South Beach is really one reason why should you move to Miami. Miami Heat – For many people being able to attend professional NBA games is excellent entertainment. And there is no better way to start your Miami life than rooting for the local championship team, the Miami Heat. On game days, the American Airlines Arena is filled with fans eagerly cheering on their home team. You can start a new life in Miami, by experiencing its culture. 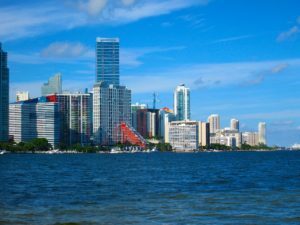 It won’t take long to fall for Miami, especially once you immerse yourself in the local culture and history. To get a good dose of what it’s like to enjoy the best the area has to offer, there are some places you just cannot top. Florida Grand Opera – If you don’t already love opera, you soon will. This opera is one of the first opera companies in America. For 75 years, the Florida Grand Opera has held a number of renowned performances. Perez Art Museum – Founded in 1984, this museum is one of the best in the country. Exhibits include modern and contemporary art from the 20 and 21 century. The Perez Art Museum has actively collected art since 1996. The collections in the museum give you an overall impression of the type of city Miami is as a whole. The Perez Art Museum will satisfy all of your cultural needs following your move to Miami. One thing that Miami does not fall short on is the adventures. There are numbers of fun and exciting things waiting for you. You will be surprised at the numerous attractions that are available. Without a doubt, you will find a great deal of excitement in your Miami home. Everglades Safari Park – There is no better attraction than the Everglades Safari Park when it comes to adventure. This park for more than 40 years has attracted guests from around the world. Here you will be able to examine the Everglades via an airboat ride. After this, you may want to catch an alligator show or take a trip on the jungle trail. There are also a crocodile exhibits at the park that is extremely thrilling. Isn’t this a good reason why should you move to Miami? Miami Seaquarium – From sea lions, manatees, sea turtles and more, this park is a great place to visit and learn about sea life. Children and adults of all ages enjoy the many exhibits and hands-on activities while discovering some amazing underwater creatures. 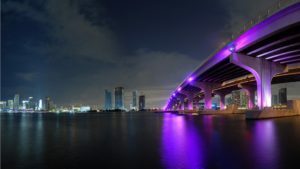 Nightlife in Miami can be a lot of things, except for boring! Versailles – Versailles is known worldwide for its Cuban food. Versailles since 1971 has been serving the community tasty Cuban food. Their menu contains a number of staple Cuban entrees. There are various meat options that range from fish and seafood to pork, beef, and chicken. If you can’t travel to Cuba to get a taste of their delicious food, then Versailles Restaurant in Miami is your next best option. You will not be disappointed with the cuisine they have to offer. Larios on the Beach – Larios on the Beach is also one of the best places in Miami Beach for authentic Cuban food. The Larios on the Beach menu consists of various Cuban specialties. Not only do they offer delectable entrees, but you can also choose from numerous authentic Cuban desserts as well.